Imogene C. Haynie was born on 12 October 1888 in Anderson, Grimes County, Texas. She was known as Immie. William H. Haynie and Laura Ellen Hair appeared in the US federal census of 1 June 1900 in Anderson, Grimes County, Texas. Other members of the household included Imogene C. Haynie, Tennye Haynie and William Herbert Haynie. The following appeared on 7 July 1907 in The Galveston Daily News: (Anderson) Miss Imogen Haynie has returned from a pleasant little visit to Navasota made during and after the reunion of Hood's Brigade, on the 27th and 28th of June. The following appeared on 22 October 1907 in The Dallas Morning News: (Personals) The following out-of-town visitors registered at The New office yesterday: Miss Tennye Haynie, Anderson. Miss Imogen Haynie, Anderson. Albert Lindley, Mineral Wells. L. . . . Jesse W. Garin, Navasota. Tennye and Imogene were 2nd cousins of Albert G. Lindley, and Jesse Waldo Garvin was Imogene's future husband. The following appeared on 29 December 1907 in The Galveston Daily News: (Anderson) Mrs. Laura Haynie and her daughters, Misses Tennye and Imogen Haynie, returned home from their little journeys abroad in time to share the Christmas festivities of our little town. She married Jesse Waldo Garvin, son of Sam Houston Garvin and Martha Elizabeth McIntyre, on 28 April 1908 in Anderson, Grimes County, Texas. Sam Houston Garvin and Martha Elizabeth McIntyre appeared in the US federal census of 15 April 1910 in Navasota, Grimes County, Texas. Other members of the household included Imogene C. Haynie, Jesse Waldo Garvin. Jesse Waldo Garvin and Imogene C. Haynie appeared in the US federal census of 1 January 1920 in Navasota, Grimes County, Texas. Other members of the household included Laura Ellen Hair. Imogene's paternal grandfather Uriah Haynie had two first cousins (Mary and Cecilia Whiting) who married two brothers (Wm Frank and Sam Lindley) of Jesse's maternal grandmother Hannah Lindley McIntyre. 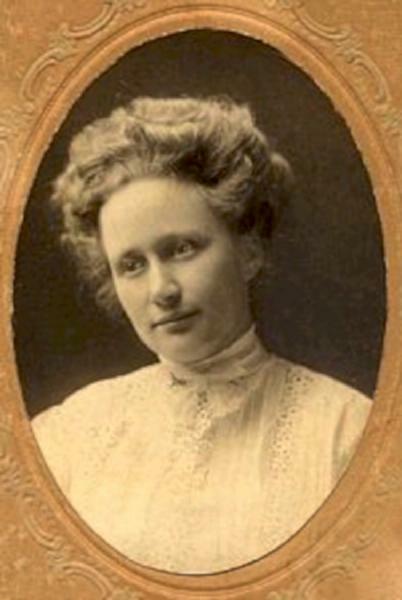 Imogene C. Haynie became a widow at the 2 March 1955 death of her husband Jesse Waldo Garvin. At the time of her death Imogene C. Haynie was living in Gilmer, Upshur County, Texas, at 411 West Tyler. Imogene C. Haynie died on 10 February 1966 at age 77 in Longview, Gregg County, Texas, at Good Shepherd Hospital . Her death was officially witnessed by Mildred Eudora Garvin. She was interred at Rest-Ever Memorial Park, Bryan, Brazos County, Texas. The following appeared on 17 February 1966 in the Gilmer Mirror: Funeral services for Mrs. Imogen Garvin, 77, were held Saturday morning at Croley Chapel. Mrs. Garvin died unexpectedly Thursday at Good Shepherd Hospital in Longview. More than two years ago she had undergone open heart surgery in Houston. At that time an electronic "pacemaker" was placed in her heart. Electrical impulses from batteries implanted under the ribs traveled through wires to the heart and replaced nerve impulses in regulating the heartbeat. Doctors said death resulted from failure of another part of the heart, and was not connected with the action of the electronic device. Born at Anderson, Texas, on Oct. 12, 1888, Mrs Garvin moved in 1956 to Gilmer, home of one of her daughters, Mrs. Harry Aldredge. Her husband, Jesse Garvin, had died in 1955. She was a member of the Methodist Church and of the Eastern Star. Her home was at 411 W. Tyler St. Surviving besides Mrs. Aldredge are her mother, Mrs. Laura Haynie of Gilmer, who recently celebrated her 104th birthday; two other daughters, Mrs. Walter Penberthy and Mrs. Reed McDonald, both of Bryan; a brother, W. H. Haynie, Woodruff, Wis., 9 grandchildren and 7 great grandchildren. The Rev. C. A. West officiated at the funeral services. Entombment was at Rest Ever Mausoleum, Bryan. Pallbearers were grandsons and nephews, Walter L. Penberthy Jr., Willia G. McDonald, Michael E. Aldredge, Andy W. Aldredge, Dwight Isaack and Andrew Isaack.